Preparing Your Young Child for Success in Math just got a little easier with these tips. Read on to find out how to help them succeed in Math. Whether you’re homeschooling, tutoring or simply supervising homework, you may often find yourself dreading math time. This subject tends to be difficult for many school-aged children, regardless of their current learning style or level of ability. While many students find math confusing, it is actually a very orderly area of study. Often times, students have never managed to gain a firm grasp on the foundations of math, which leads to struggles relatively early on. This problem is most common when it comes to the application stage of learning, which is often addressed in the form of word problems. 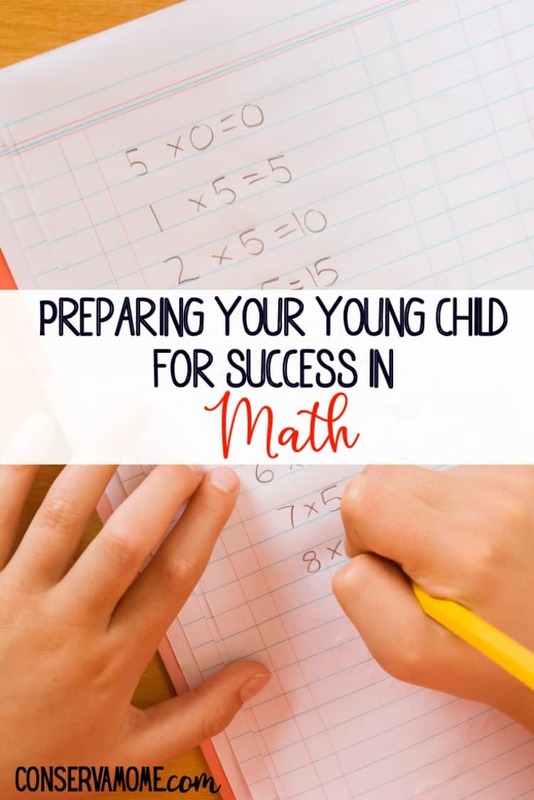 But there are several activities that you can do with your child to help prepare them for success in math, whether they are just starting out or need some extra help catching up. A student who still needs to use their fingers to perform single-digit addition or multiplication will find anything more complex to be a time consuming and frustrating task. It’s important for kids to make their basic math facts an automatic thought process before they can do them as a step in a bigger problem. The best way to make math facts second nature is to practice regularly! Print a multiplication chart and begin by reading in a set rhythm. Help students memorize by covering up different portions of the chart over time. Then make sure to practice them out of order to solidify their knowledge. All math starts with the basics of number sense and knowing how those numbers work and relate to one another. Anything that students can physically place their hands on to help them learn will give them a more concrete overall understanding. Stacking cubes, dice and marbles are just a few examples of great math manipulatives. The possibilities are practically limitless! Keep items identical for basic addition and subtraction. Add variety when it’s time to move on to more complex functions. Anything you can do to make learning more creative will keep your kid willing to put forth the effort. When you’re practicing your multiplication tables out loud, do it while tossing or bouncing a ball back and forth. Change their word problem from a question about eggs and a farmer to one about their favorite cartoon character or hobby. In addition, try not to limit learning to classroom or textbook situations. Apply math everywhere you can in areas that are practical to them. You can do it such as cooking, shopping or scheduling activities for the day. The more your kids see that math matters in the real world, the more they’ll see the value in learning it. Don’t forget that there are dozens of great card and board games your family can enjoy together while simultaneously building math skills. Helping your child achieve success in math takes dedication and intention, but the benefits are well worth it. In addition to encouraging them to conquer a tough subject, you’ll see learning development that carries over into other subjects as well. Using these tactics to practice math can also help improve processing speed, multitasking and abstract reasoning. Math is important! Make it a priority in your child’s life at an early age.